The DiabloSport Marathon Module helps you get better fuel mileage by enabling your V8 engine to behave like a four-cylinder engine when cruising, while still allowing for full V8 power when you need it. Enables vehicles with AFM to drop cylinders in order to suit the driver\'s power requirements, while conserving fuel. Saves fuel by allowing vehicle to stay in 4-cylinder mode 80% of the time as opposed to only 35% from the factory. Pending 50 state legal emissions. 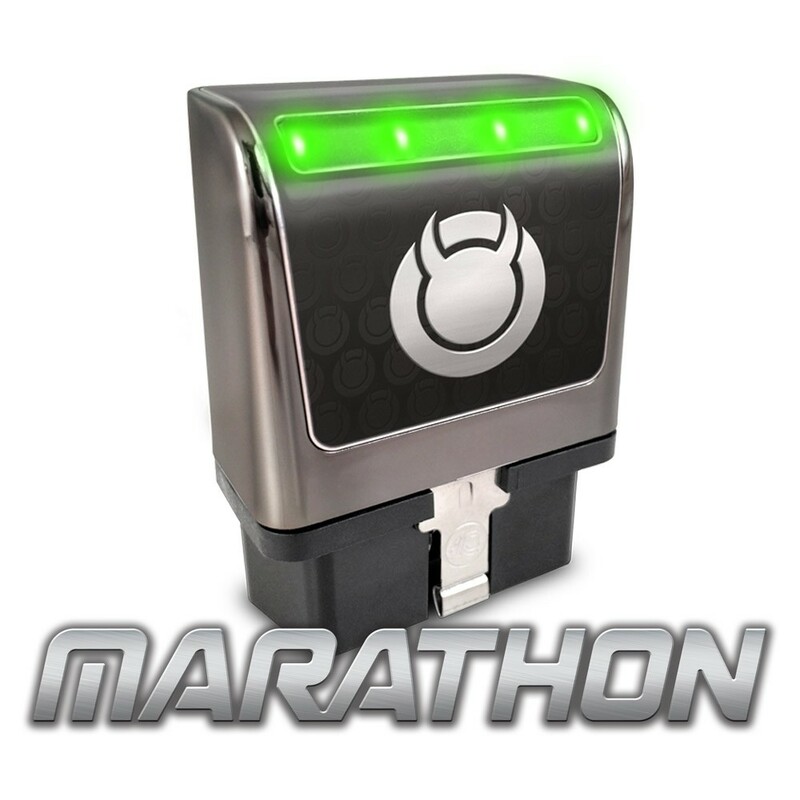 Marathon Active Fuel Management Module is rated 4.0 out of 5 by 2. Rated 4 out of 5 by Simba from It mostly does what intended. This works well for flat roads with no wind. If you use it on rolling hills or steep hills the gas mileage remains about the same as without the chip, and if you add wind, even to flat roads, you definitely lose your advantage, but for the flat stretch that we typically drive we are seeing an improvement of about 5 MPG on average. Rated 4 out of 5 by Legend45 from Slight improvement in mpg I see a slight improvement in average mpg. I know some of their other products can be updated. If this can I suggest making it go to V4 mode at idle and up to 1,200-1,300 RPM. Since there’s no hesitation in going to V8 mode when you STEP on it I don’t think a update like this would be a problem. This product should have absolutely no effect on your warranty on your vehicle. As a plus, you can unplug it from the OBD2 port before service and that will completely prevent any trace of the device to be present. Will this increase the issue of oil consumption? Also will this interfere with the onstar features like remote start and lock/unlock? Yes, the I-3 can turn off the AFM/DoD system on any vehicle it supports. I want to put a catback exhaust on my 2019 Camaro ss 6.2l, but I can't find any exhaust with a place to install AFM modules...if I use the diablo can I remove or disable the module? Will this work with a 2018 v6 silverado? Does the I-3 can tune the Active Fuel Management to work more efficient??? Is it possible for the Marathon to be updated to switch to V4 mode when the engine is at idle, and in stop and go traffic at 5-10 mph or 1000-1,200 rpm? Will this work in conjunction with other diablosport tuners?